Cindy Charles highlights the achievements of businesswomen in her home town of Montréal. Success comes from her attitude and her own multidimensional vision of health. Women are often pitted against each other in the media-it’s practi­cally a spectator sport. Taylor Swift vs. Nicki Minaj, you know the drill. In business history, it’s been an unfortunate necessity. “There’s research that indicates when there was only one seat at the table, it didn’t behoove a woman to get another woman at the table,” Sallie Krawchek, CEO and co-founder of Ellevest, said in a recent interview. Cindy Charles is changing that narrative. 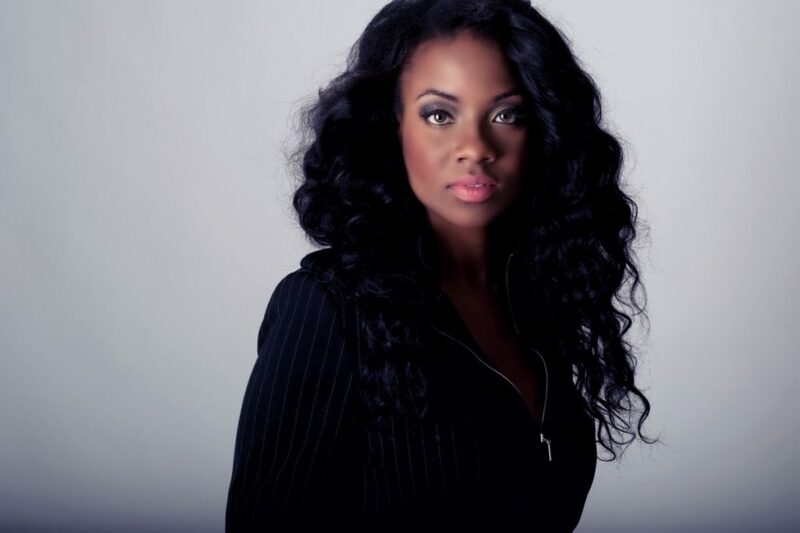 The 31-year-old, Montréal ­based entrepreneur just released the fourth season of her online and cable TV show Couch Talk, where she interviews a cross­section of local female leaders with backgrounds as diverse as psychology and event planning. The sister online community where women connect and support one another is her website CollectivelyBeautiful.com. In the business of empowering women to learn from one another, she’s providing the platform to make it happen. With a glass-ceiling-smashing ambition, Charles has a few self­-empowerment tricks up her sleeve. One of the key elements of business is networking. It can also be a terrifying prospect, particularly for green entrepreneurs. Women like to move in groups, and while bringing a friend along might seem like a confidence-boosting tactic on the surface, stepping outside of your comfort zone yields much greater rewards. “When you’re alone, people are curious,” Charles says. “It forces conversation.” Your mission is to meet as many people as you can and being on your own opens you up to that possibility. She first discovered the power of solo socializing on the dating scene. Hearing her male friends complain that it was near impossible to talk to women because they always seemed to be in a group, she decided to do an experiment. Charles went to a bar alone. “I was mortified to death that people would think I was a loser going to a bar by herself,” she says. “I ended up having an amazing time.” She left with more than a fistful of numbers; the insight from that night has helped her grow her dream business. 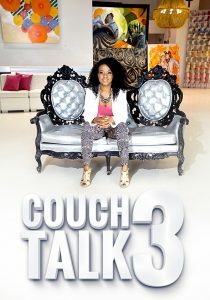 Couch Talk is extending into the Toronto area and she launched a French version, Les Divas du Divan, this year. Charles is one of a select few media outlets creating material in both French and English, and she’s not just translating one to the other. Les Divas du Divan is its own series with its own French content. Both versions can be found on Charles’ website if you are outside the area. Like anyone, Charles sometimes gets overwhelmed by what she has to get done in a given day, especially during filming. The stress of scheduling and researching guests, while coordinating the logistics of designers, crew and the filming location in an art gallery piles up fast. The “mental gymnastics” of dealing with negative self-talk follow close behind. “It’s OK to be afraid and second-guess yourself as long as you get past it,” she says. What’s important is not overcoming fear, but facing it head on. Attempting to work on too many projects at once is a symptom of society’s productivity-focused work ethic, and Charles isn’t immune. She’s come up with the mantra: “On-hold isn’t gone forever.” Shelving one project for a while to complete another is a necessity, not an inadequacy. Now she focuses on the tasks that provide the maximum return on investment, whether financial or emotional. “Although I have a full schedule, I don’t feel overwhelmed like I used to,” she says. When it comes to health, the extra benefit of having control over your body is the feeling that you’re more in control in general, Charles says. Poor health also puts a drag on entrepreneurship. It affects your mood, making you cranky and anxious, depletes energy and can make you a difficult person to work with. In true entrepreneurial style, Charles mostly works out at home. She capitalizes on sites like Pinterest to find targeted, plyometric workouts that suit her. She’s also a fan of Beachbody’s 27 Day Fix workout series. On the weekend she’ll hit the gym with her hus­band for weight training or cardio classes. “I’m not a morning person,” says Charles, who tends to get to her workouts in the evening. 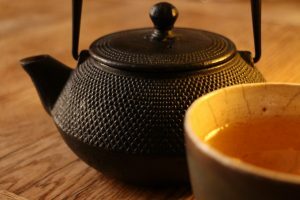 She starts off the day with a lemon, ginger, cinnamon tea, which she says settles her stomach and boosts the immune system. Then she’ll usually have a smoothie for breakfast: Fruit, veggies like kale or spinach, avocado and almond milk is her go-to recipe these days. Charles’ husband Dr. Patrick Owen is an ethno-nutritionist, a specialist in a theory of nutrition that takes ethnic background, environment and culture in to account. They follow a diet low in carbs-no pasta or bread-and high in veggies and protein. “It’s important not to go hungry,” she says. Starving yourself is a rookie mistake and one of the worst things you can do for your body. If late night munchies are your weakness, try almonds, pickles and olives, Charles suggests. She’s an experienced evening snacker. “Health is multidimensional,” says Charles. There is physical health, which includes fitness and nutrition, but also emotional health: Having good relationships, loving and feeling loved. And there’s mental health as well: Feeling confident, secure and positive. Place lemon, ginger and cinnamon in a cup and fill with boiling water. Let steep for five minutes.